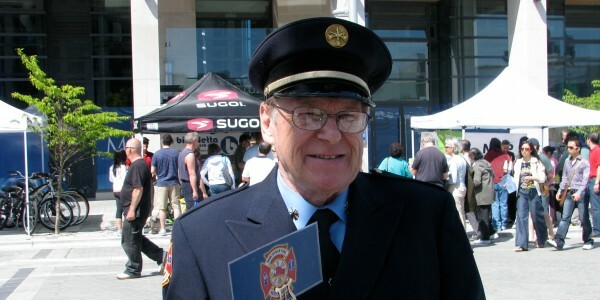 Vancouver Fire and Rescue Services Training Chief Brian (Ret. ), trumpet player, preparing for an official City of Vancouver event. May 2010. Vancouver Fire and Rescue Services Chief Training Officer (Ret.) Brian, trumpet player, preparing for an official City of Vancouver event. May 2010. The Firefighters’ Band is made up of active-duty and retired firefighters from all over the Metro Vancouver area, as well as a few civilians who get to join in the fun, too!